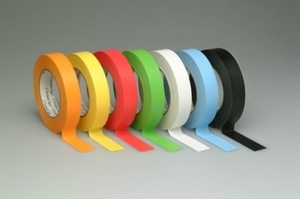 Flatback paper tape used for marking boards, color coding & labeling. Artist tape has a repositional clean removal adhesive system that does not leave any residue. Printable with flexolinks, markers, pens, & pencils.